Last night, as I scrolled through my favourite (very science-y!) food website in a haze of hunger and procrastination, I came across a recipe for chicken mole poblano. “Chicken, chillies, and… chocolate?” I thought. “Eugh.” Then I caught myself—why was that my immediate reaction? Of course, cultural contexts and personal taste play a significant role in deciding whether things “go together”. But is there any scientific, objective method to determine successful food combinations? What are we missing out on? What does Remy know that we don’t???? First of all, though: what is flavour? It’s tempting to equate ‘flavour’ with ‘taste’, but taste is limited to what our taste buds perceive. Flavour, on the other hand, describes our entire sensory experience of food, and is comprised of taste and aroma. (If you want extra credit, flavour also factors in a food’s texture and temperature.) Yes, the smell of food plays a huge role in your flavour experiences, which is why everything tastes of nothing when you have the flu. 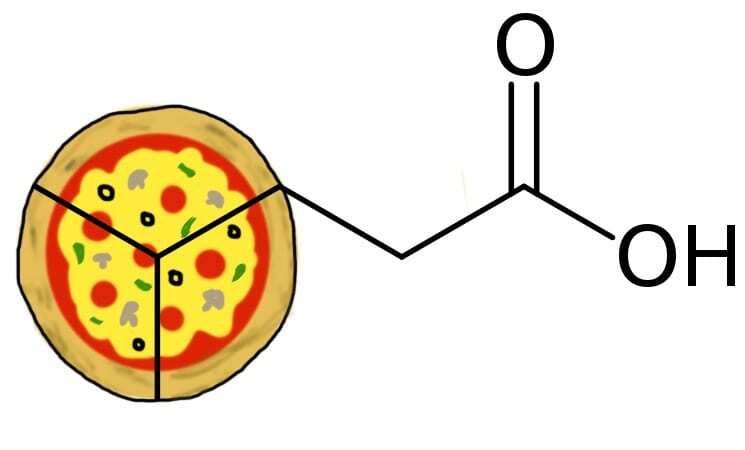 The smell of food comes mainly from aroma compounds, which are, quite literally, molecules that have an aroma. While all foods contain hundreds of aroma compounds, only a few will be dominant; for example, cocoa has upward of 600 aroma compounds, but only about 80 of those are considered to be the main contributors to cocoa’s flavour. One hypothesis that has become fashionable in recent times is the idea that the more dominant aroma compounds two foods have in common, the better they’ll taste together. This idea gained some traction among more adventurous chefs and scientists alike, and an article in Nature found that, at least in Western cuisines, there is a significant tendency to combine ingredients with many overlapping aroma compounds. How well does this idea hold? Consider the humble molecule 4-methylpentanoic acid. With a smell described as “pungent” and “cheesy”, it’s a dominant aroma compound of baked wheat, tomatoes, cheese, basil… does the combination sound familiar? You guessed it, pizza! But one anecdote is never enough: If we trawl through whole databases of aroma compounds, are there any innovative, non-intuitive combinations that arise? Enter Heston Blumenthal, a celebrity chef and molecular gastronomist who did much to popularize the flavour-pairing hypothesis. After accidentally landing on a winning combination of white chocolate and caviar (both of which have have high concentrations of trimethylamine), Blumenthal and his friend Francois Benzi hit on the pairing of pork liver and jasmine, both of which contain indole. The most enjoyable work I came across while researching flavour-pairing came from Khymos, the blog of organometallic chemist and food chemistry enthusiast Martin Lersch. In a column called “They Go Really Well Together”, he invites his readers to share their own kitchen concoctions using hypothetically compatible ingredients. Anyone want to take one for the team and do a taste test of chocolate, coffee, and garlic? The flavour-pairing hypothesis is not without criticism; and perhaps its most damning flaw of the hypothesis is its most fundamental: if it’s true that the two foods taste better the more their aroma compounds overlap, then it should also be true that the fewer aromatic compounds two foods have in common, the worse they taste together. However, there are no published papers as of right now that systematically test this side of the coin. This is leading many skeptics to believe the theory is no more than a passing fad. While I am fully in favour of throwing out unworkable theories instead of fudging the numbers, I’ll admit I did love how this little community of food enthusiasts is taking a scientific approach to cooking; along with the curiosity, experimentation, and collaboration among everyone in digging for answers—and really, isn’t that what drives us all to do science? Now, if you’ll excuse me, I’m headed to the kitchen to make myself a strawberry-cilantro salad—hold the sewing needles, please. Want to play with flavour pairings? Try these sites. Oakley!!! Thank you, this is so sweet of you 🙂 Happy cooking, and I hope the wrens aren’t giving you too much grief! Thank you, Daisy! I had a lot of fun writing it, even if the theory turned out to be less-than-promising 🙂 Also, your comment made me realize my maths was wayyyyy off in calculating the figure, and I’ve edited the post accordingly. Thank you!